I created a series of unique sea journey-related book pieces for LA><ART. My intention was to predict the future, address the breadth of the Ocean and the confinement of the ship, and find hints in the text as to where humankind is going. There are 10 books. Each book has been drawn in, painted in and edited. 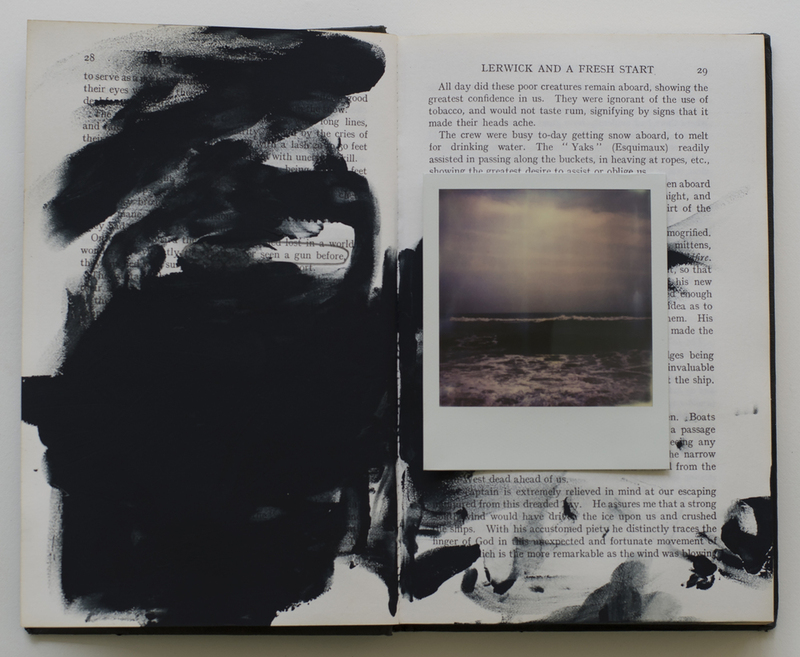 One has a hidden painted map, another an oil pastel drawing on every single page and all of the works contain a unique polaroid taken by me that relates to the dream of escaping to the sea. Each is also signed in graphite. Needless to say, they dominated my consciousness for a while. All are now available to view (and for sale) at LA><ART and on their website. Please stop by and check them out if you have a chance. Click here for visiting hours, directions, etc. or click here to directly view the works online.